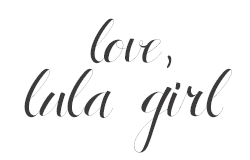 Lula Girls Blog: WHOA. BUSY. WEEK. So I'm new at this whole blogging thing. As you can tell. I thought I had the whole "working" and organizing my time part somewhat figured out. But then I threw this whole blogger business into the mix. It has thrown me off. Boy am I behind. I am planning to post 4-5 times a week and include looks but also relevant information about owning your own business as well as share bits and pieces of how Lularoe impacts my life. Well that really hasn't happened. And I am so sorry. Please please stay with me. I promise their is so much I want to share that has real substance. I am just like all of you. I am a busy mom and some days I just can't seem to get ahead. Welcome to life. I just sat down and re-evaluated my business goals and have made a plan. It might take me a week or two get it all into action and running smoothly. Please be patient. I promise it will be so worth it. But I do want to share this look for your Friday. I paired a plaid Cassie skirt (isn't it amazing how endless our fabric options are with our Cassie skirts) with a sweater and some moto boots. Perfect fall outfit- great for day or date night! Enjoy your weekend.